Bad breath can be very repulsive. It not only makes social interactions uncomfortable but also ruins your romantic rendezvous with your loved one. Also known as halitosis, bad breath is a common and sometimes persistent problem that plagues millions of people around the world. Brushing your teeth twice daily, cleaning your tongue and using a good mouthwash are extremely important to combat foul breath and maintain good oral hygiene. 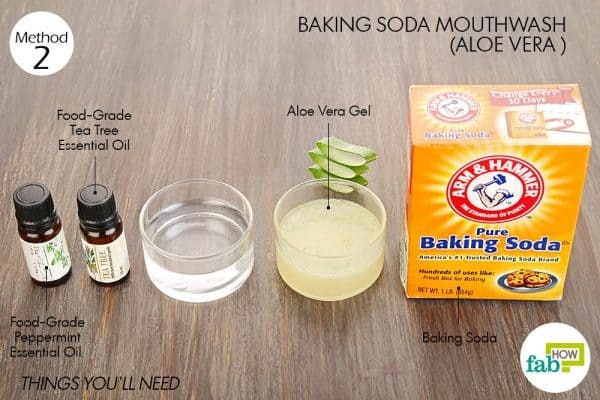 While we have already showed you how to make your own toothpaste and the right way to clean your tongue, it’s time to put the spotlight on your mouthwash. Most commercial mouthwashes are alcohol-based and give quick results, but they often kill the good bacteria along with the bad ones, drying out and irritating your mouth in the process. They also can give way to a host of other oral troubles. These green- and blue-colored liquids are also loaded with toxic chemicals that are readily absorbed by your body. In fact, the sweet taste and strong color can be attributed to artificial colors and flavoring that you should avoid. 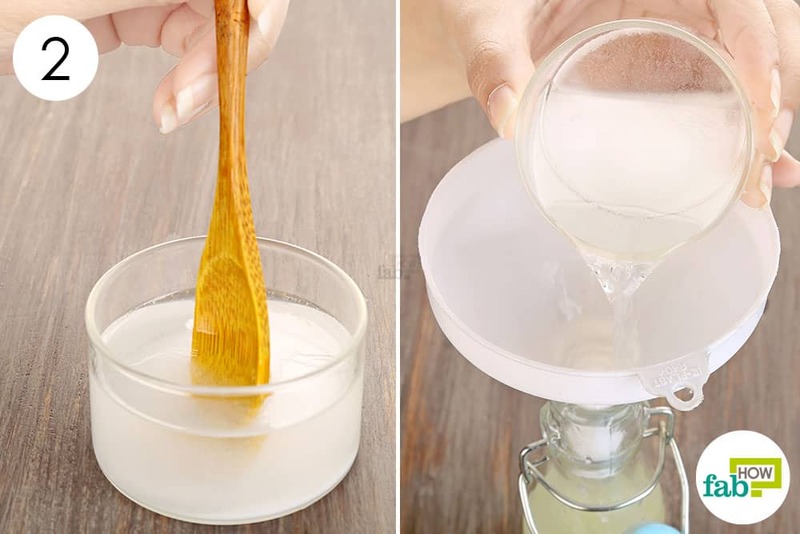 Homemade mouthwashes are not only a healthy choice but also a smart one in the long run. They cost a fraction of what you spend on store-bought mouthwashes. They are made using common ingredients that are safe for you and the environment. They do not contain alcohol, and the best part – you can adjust the quantities and certain ingredients according to your taste and preference. 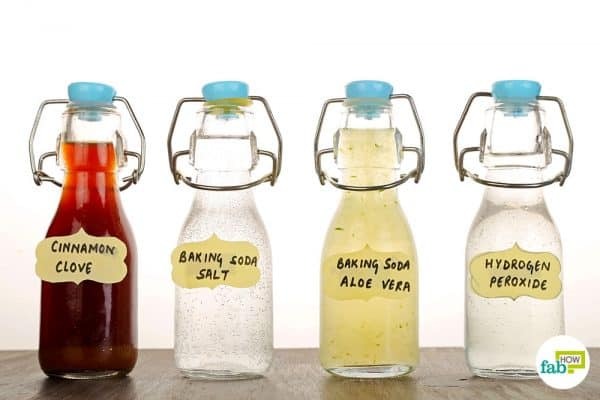 We tried our hand at making several homemade mouthwashes to bring you the best three DIY mouthwashes that are as effective as the commercial varieties. 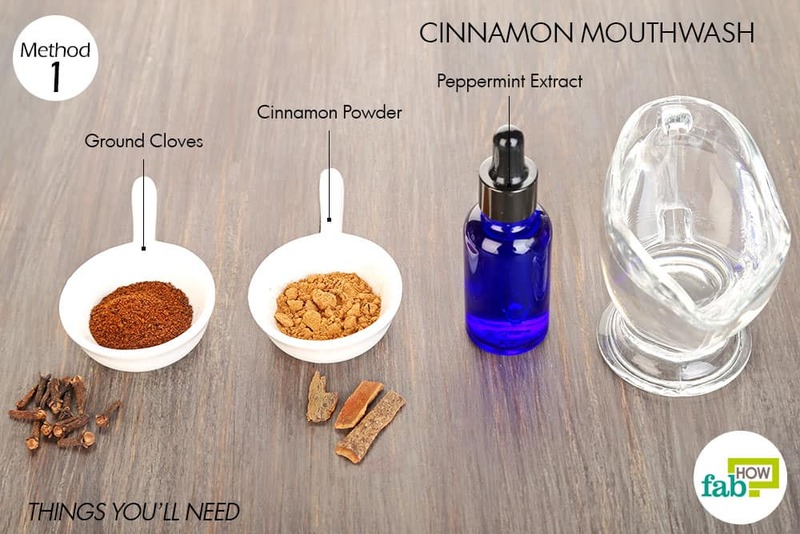 Read on to learn the quick and easy recipes of DIY mouthwashes and say bye-bye to bad breath. Caution: Do not swallow any of the homemade mouthwashes, as they contain essential oils. Ingestion of essential oils can have adverse effects. 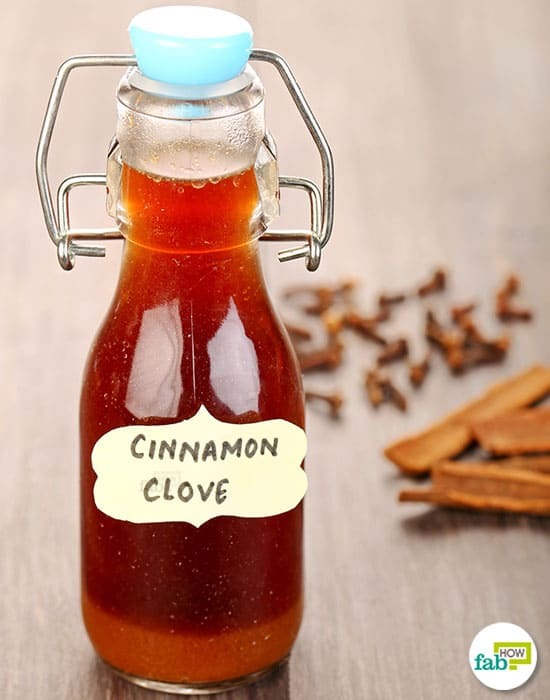 Cinnamon contains essential polyphenols, flavonoids and antioxidants that make it a power-packed spice for good health. These components render anti-inflammatory and antimicrobial properties to the herb, which can be used to get rid of oral troubles. While most commercial mouthwashes contain mint, it only masks the bad odor. On the other hand, cinnamon works by getting rid of it completely. Cinnamon is also a natural preservative that will help extend the shelf life of this mouthwash. This DIY mouthwash recipe also uses cloves, another powerful antibacterial, and peppermint extract that adds a mild yet refreshing flavor. Place a pan over heat. Pour 1 cup of water into it. 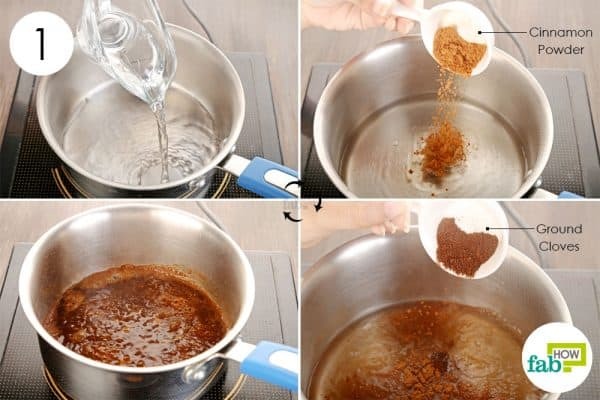 Add 1 teaspoon each of cinnamon powder and ground cloves to the water. Bring the mix to a boil, then let it simmer for 5 minutes. Once done, remove it from the heat and let the liquid cool down. Strain the mixture into a pitcher. 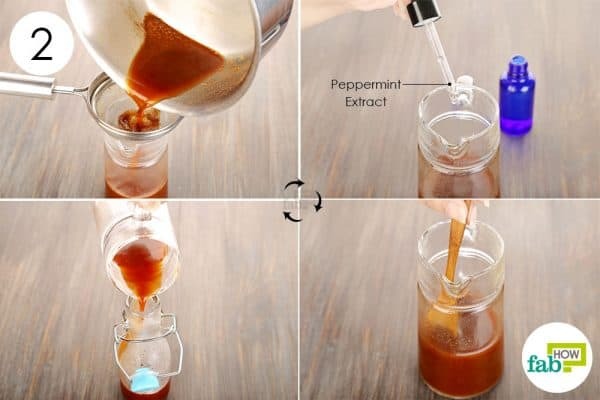 Add about 1 teaspoon of peppermint extract. Stir well and transfer the solution to an airtight bottle for storage. Use this like your regular mouthwash after brushing your teeth. This DIY mouthwash will stay good for 8 to 10 days. 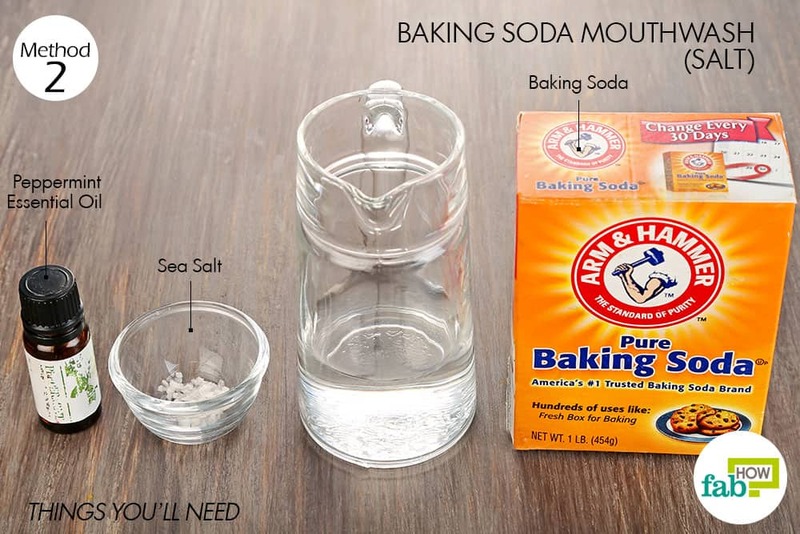 Baking soda is popularly used as a home remedy to get rid of dental plaque. It can also be concocted into an effective DIY mouthwash to deodorize your mouth and also whiten your teeth in the process. Baking soda also creates an alkaline environment in the mouth to combat cavity-causing bacteria and heal mouth sores, if any. It can be combined with other healing ingredients to increase its effectiveness. There are two recipes you can choose from – one uses aloe vera gel and the other uses sea salt. Aloe vera gel works as an antiseptic and anti-inflammatory agent to bring down swelling in gum-related diseases. Sea salt helps remineralize the teeth in addition to working as an antiseptic that freshens up your breath. 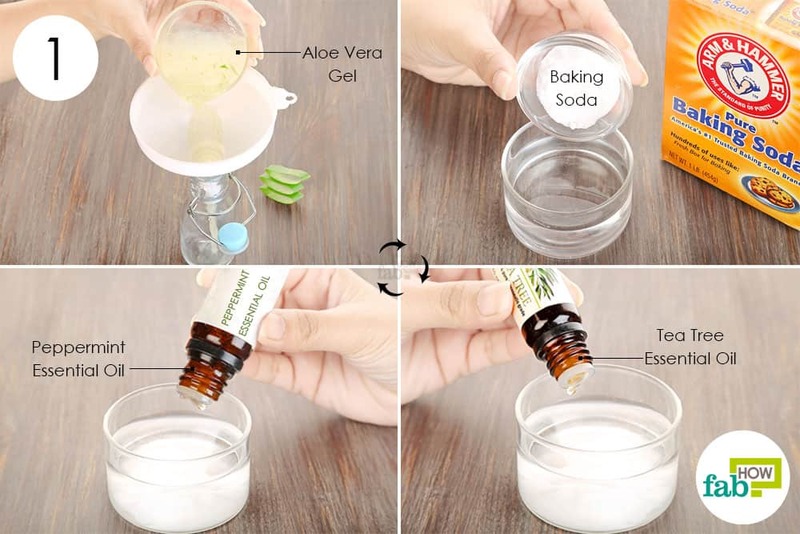 Use a funnel to pour ½ cup of fresh aloe vera gel into a bottle. Set it aside. 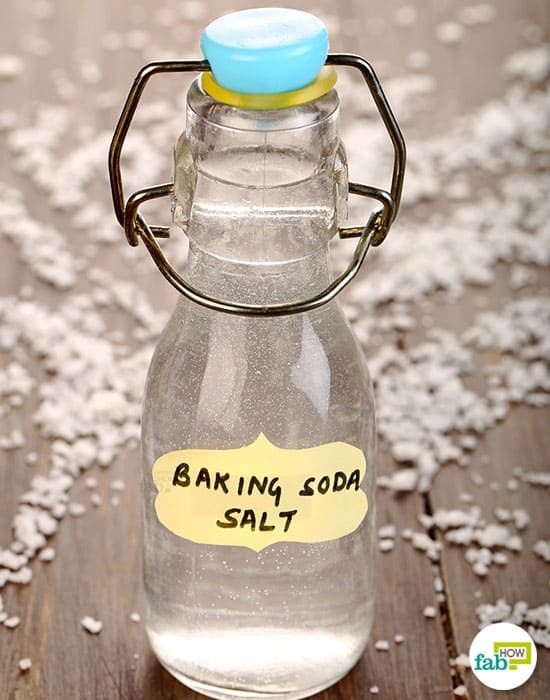 In a separate bowl, add 2 teaspoons of baking soda to ½ cup of distilled water. Add 1 or 2 drops each of peppermint and tea tree essential oils to the baking soda solution. 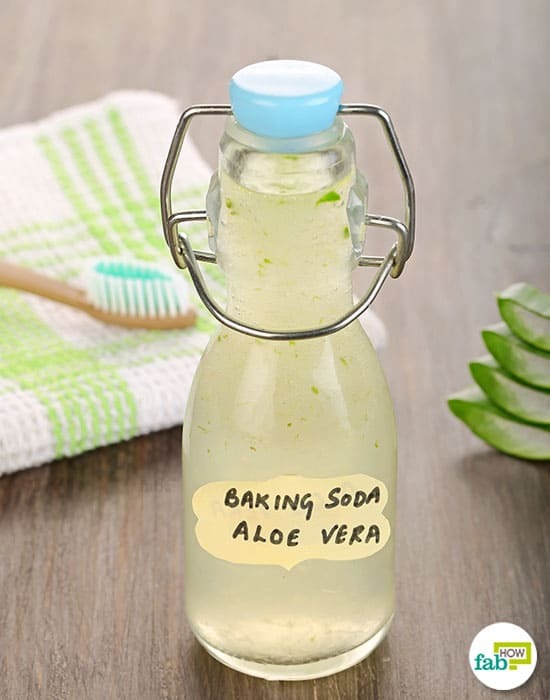 Add the baking soda solution to the aloe vera gel. Close the bottle and shake it well to thoroughly blend the solution with the aloe vera gel. 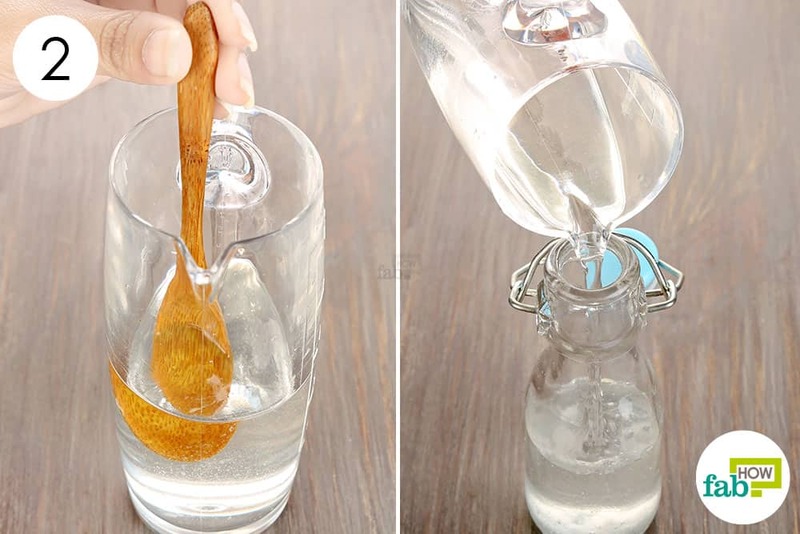 Refrigerate the DIY mouthwash and use as needed. The shelf life of this homemade mouthwash is 1 week. Add ¼ tablespoon of baking soda to ½ cup of distilled water. Add ¼ teaspoon of sea salt to it. Add 1 or 2 drops of peppermint essential oil. 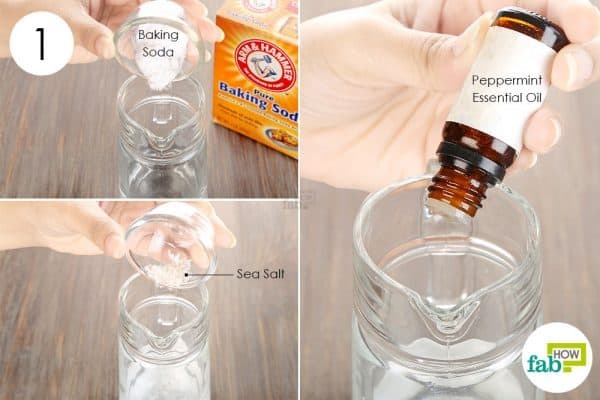 Stir well to dissolve the salt and baking soda in the water. 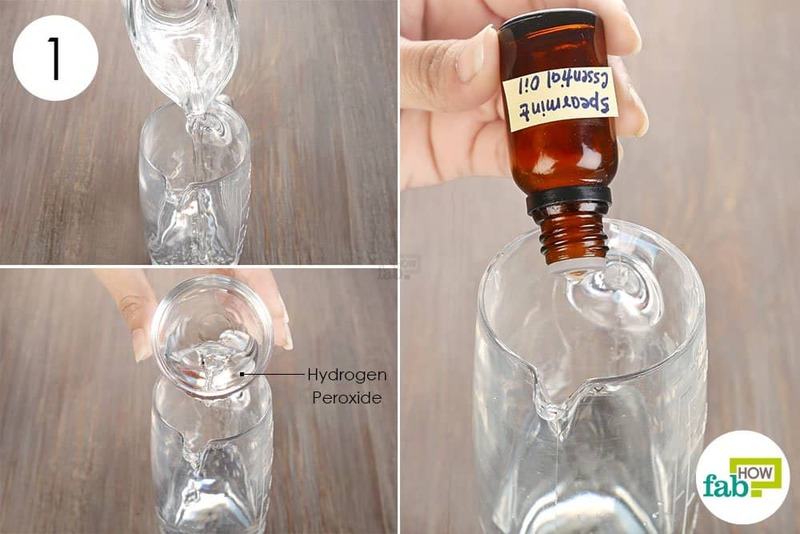 Transfer the solution to an airtight bottle for storage. Give it a good shake before every use. Use this twice daily to keep bad breath at bay. The shelf life of this mouthwash is about 3 to 4 weeks, considerably longer than others. 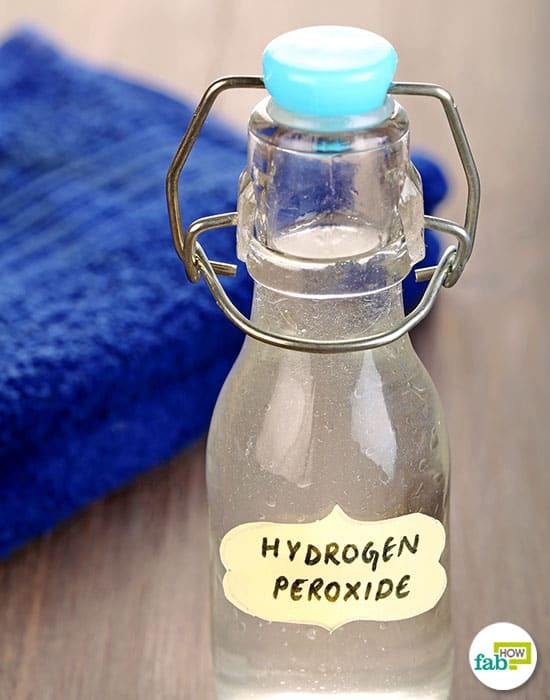 Hydrogen peroxide can be used as a safe disinfectant to clear up the bacterial buildup in your mouth that is causing your bad breath. Unlike alcohol-based mouthwashes, hydrogen peroxide isn’t overpowering, nor does it irritate the oral cavity. Additionally, it works as a bleach to whiten your teeth. To add more freshness to it, you can add an essential oil of your choice. 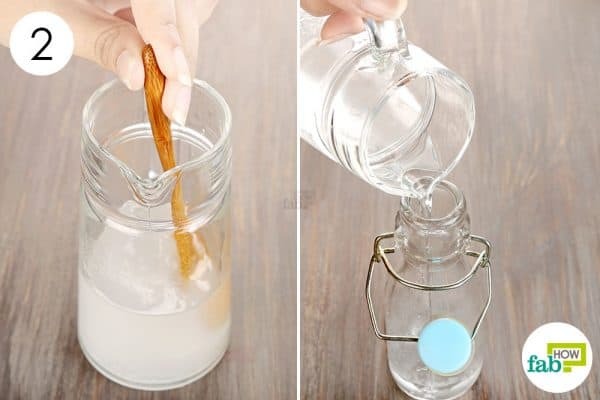 This DIY mouthwash can also be used to treat canker sores (sans the essential oil). Pour ½ cup of water into a pitcher. 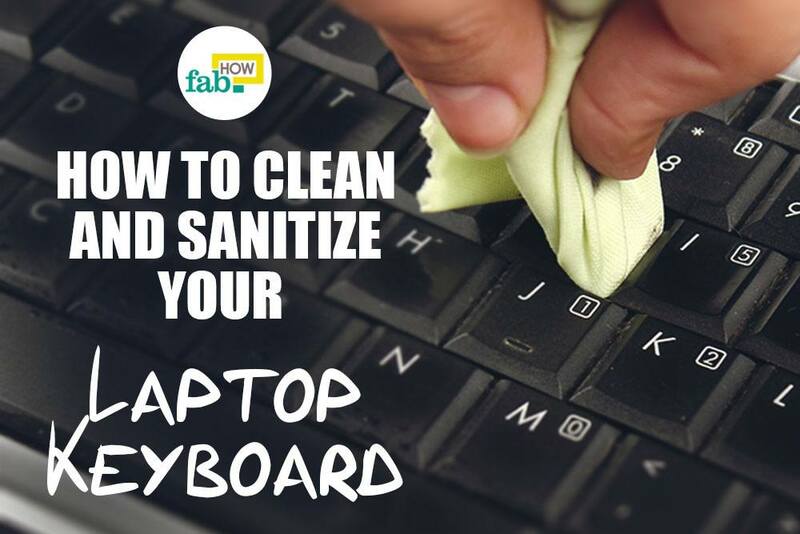 Add 2 tablespoons of 3% hydrogen peroxide to it. Add 3 to 5 drops of spearmint essential oil. You can use any other oil of your choice to add a nice flavor. Transfer your homemade mouthwash to an airtight bottle and store it in a dark and cool place. The shelf life of this mouthwash is 3 to 4 weeks. The correct way to use mouthwash is to put a capful of it into your mouth, swish and gargle with it for 2 minutes, then spit it out. Rinse your mouth with water. For best results, use mouthwash twice a day after brushing your teeth. 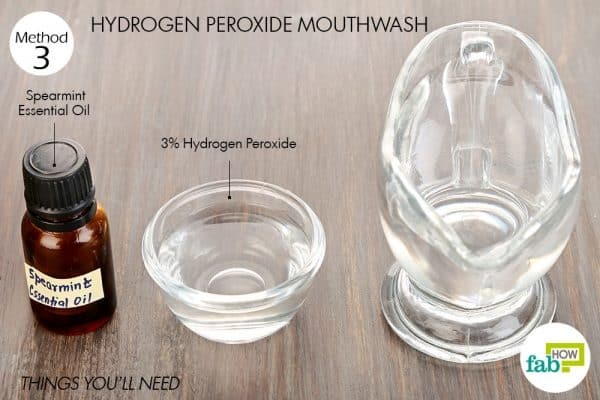 Store your DIY mouthwashes in a cool, dark place. You can also use extra-virgin coconut oil for oil pulling to keep your mouth and teeth healthy.